The Electro-Motive Model 40 switcher is scheduled for a LIMITED EDITION of 100 UNITS. 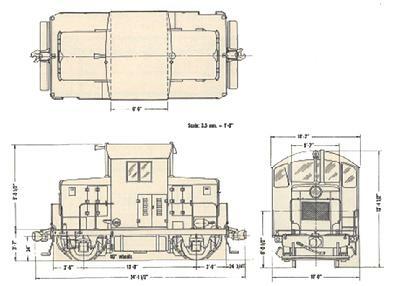 The prototype was designed for switching service chiefly in and around foundries, construction companies and warehouses.Eleven of the locomotives were built during the years 1940·43, including U. S. Army No. I, which was renumbered 7403 when delivered in May1942. She subsequently became Buffalo Slag Co. No.3. Three other Model 40's were delivered to the Army in August 1942. These were numbered 7952, 7953 and 7954. AT latest report 7952 had become Newport Steel Co. No. I, 7953 was working without a number for the American Creosote Works; and 7954 served the Sanderson & Porter Construction Co.Of the seven other Model 40's, two went to the U. S. Navy and were still in the service at San Diego and Newport in the ‘60’s. One worked in Electro-Motive's Plant No. 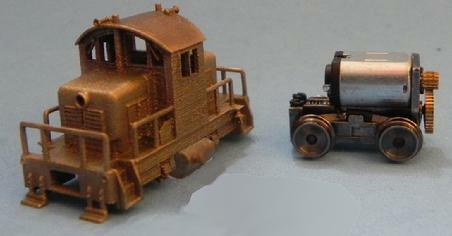 2 in Chicago, one served the Cleveland Diesel Engine Division of GM, one belongs to American Steel Foundries and is numbered 5-G-I, one is No.2 of the Old Ben Coal Co. and one belongs to the Pennsylvania Dixie Cement Corp. The last two were originally ordered by the U. S. Rubber Co., and were first used at the Des Moines Ordnance Plant at Ankeny, Iowa.The Model 40 is a 300-horsepower locomotive, powered by two 150-horsepower GM diesel engines driving an Electro-Motive generator which furnishes electricity to a traction motor on each pair of wheels. 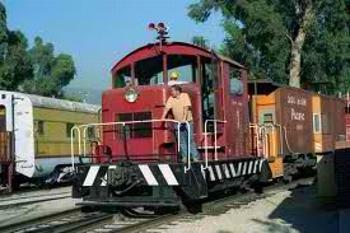 The locomotive was designed to operate on a minimum radius of 100 feet. Maximum speed is 45 mph; tractive effort is 21,500 pounds. After three years of development, the Z scale EMD Model 40 Limited Edition model is presented being driven by the v.2 PowerMAX! with its 6 volt motor, NMRA RP-25 wheel profile,SMLED lighting, improved metal-to-metal gear precision, without need of current limiting diodes. A variety of fine details have been added to the Model 40 body and the new attachment process makes it easier for the modeler to self-service and modify. We have improved a variety of operational functions and more than thirty aesthetic features to come closer to the prototypical look and operational features such as coupler pin height, coupler jaw height above rail, correct lighting focus down the rails, proper handrail placement, proper journals, correct fuel tanks, bell placement, horns and exhaust stacks, and side access steps.